Today marks the 70th anniversary of Kenneth Arnold’s seminal UFO encounter, on 24 June 1947. That was the event that gave rise to the term “flying saucer”, and kicked off a media frenzy that led to copycat sightings around the world … and a whole new subgenre of science fiction. As such I devoted several pages to Arnold’s sighting and its repercussions in my book Pseudoscience and Science Fiction last year. The Kenneth Arnold sighting also provides the central theme of the latest issue of Fortean Times, pictured above (FT355, July 2017). To my surprise, I received three extra copies of this last week – something that puzzled me until I looked at the contents and discovered there was a six-page article by myself in it. I actually wrote this (and submitted it to FT) at the beginning of last year, before I’d even had the idea of writing the Pseudoscience and Science Fiction book. 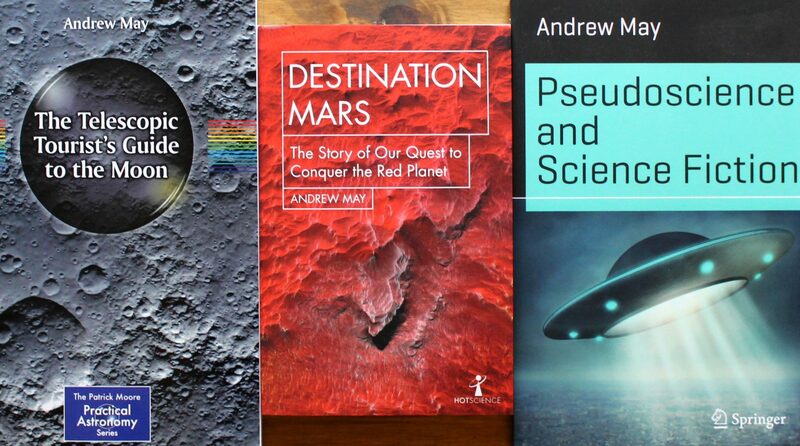 In fact it was while writing the article – about the pulp magazine editors Ray Palmer and John W. Campbell, and the way they blurred the boundary between science fiction and fortean-style non-fiction speculation – that I realized I could write a whole book on that sort of thing. Although the magazine article (called “Astounding Science, Amazing Theories!”) took such a long time to appear, it does fit the theme of this particular issue very neatly – including a couple of references to the Kenneth Arnold sighting and Ray Palmer’s role in publicising it. The main Arnold-related article, however, is not mine but one by Nigel Watson. Called “Was it a bird? Was it a plane?”, this focuses on other potential explanations of the sighting besides the extraterrestrial hypothesis – in particular the possibility that the objects Arnold saw were saucer-shaped or flying-wing style military aircraft. Arnold was flying a light aircraft himself at the time, and Jenny Randles has a one-page piece in her “UFO Casebook” column about other similar aircraft-based UFO sightings. The Kenneth Arnold links don’t stop there, either. The magazine’s lead feature, by Brian J. Robb, is about the conspiracy theorist Fred Crisman – who had connections with Kenneth Arnold, Ray Palmer … and the hollow-Earth theorist Richard Shaver, who also features quite prominently in my own article. In passing I also mention L. Ron Hubbard (who started out as a protégé of Palmer’s upmarket rival, John W. Campbell) – and there’s a link there, too, since the “Building a Fortean Library” column in this issue happens to feature a classic biography of Hubbard. 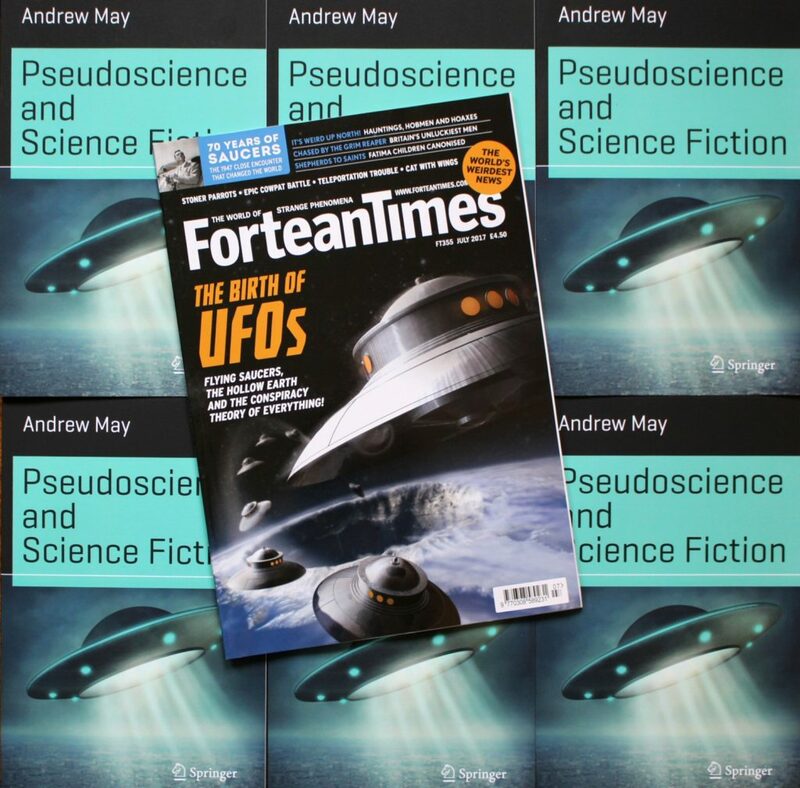 So there are plenty of reasons to buy this month’s issue of Fortean Times – and my article is just one of them!